Drop point blades are particularly useful as tactical and survival knives due to their strong tips and increased control. The Black Tactical Drop Point Knife can hold up under heavy use, making it an ideal option to add to your kit. 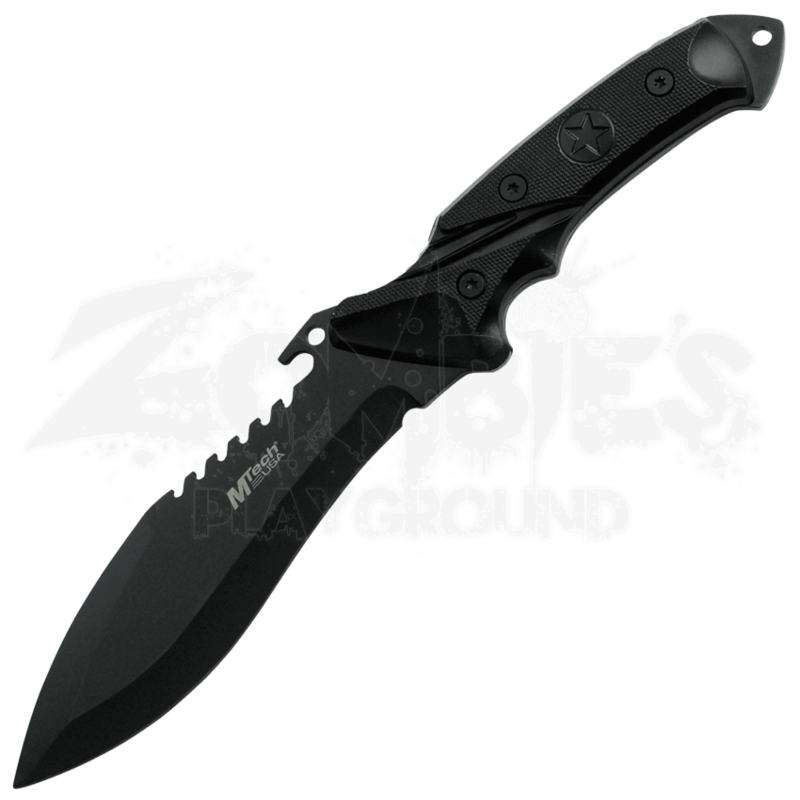 This functional knife is crafted with a stainless steel fixed blade given a matte black finish. 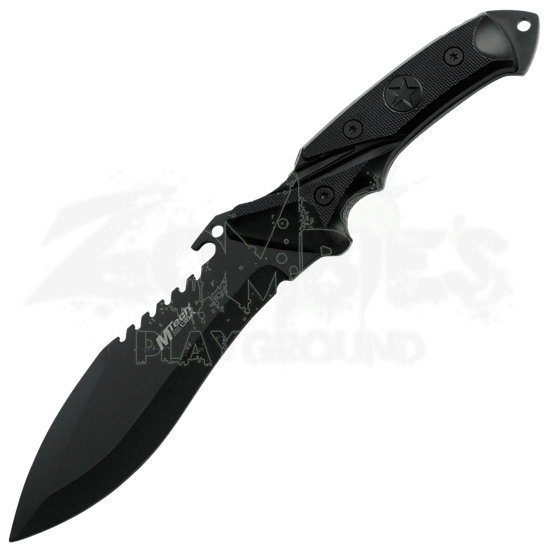 The full tang knife features a black nylon fiber handle to finish off its tactical look. Several sawback serrations provide the final element of functionality to this stainless steel knife. The tactical knife comes with a nylon fiber sheath for ease of carrying and safe storage.